During the summer months people usually have more time for reading. With this in mind we have decided to highlight this article which we originally published in Catalan on 22 April, just before International Book Day. To mark this first Sant Jordi or St George’s Day since the publication of the centralised database (of victims of the Civil War and the Franco Regime by ihr.world, we wish to recommend a selection of some of the recently published books which we have come across. 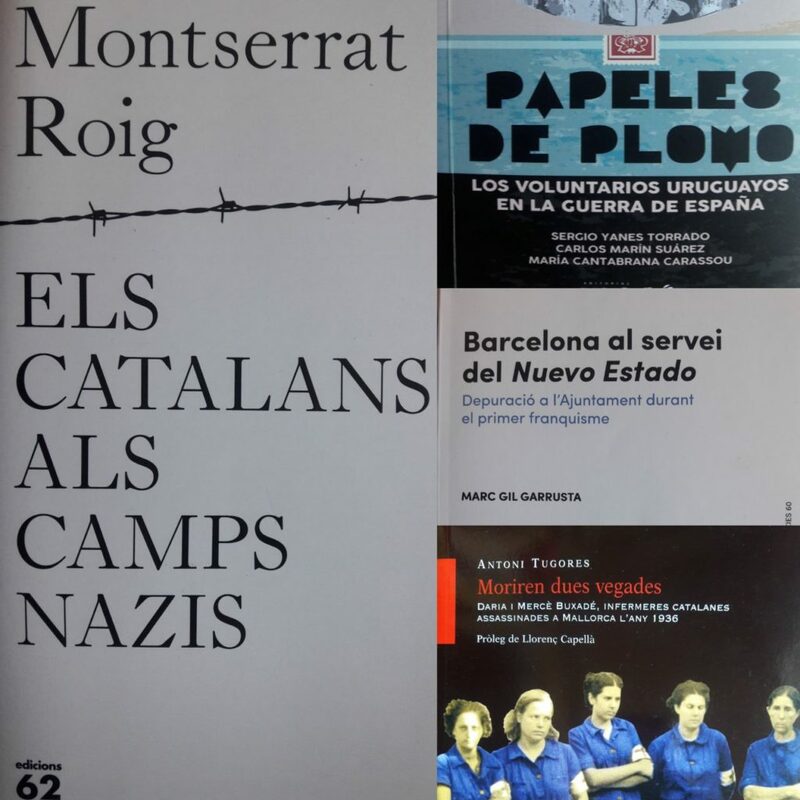 Els catalans als camps nazis (Edicions 62) is a newly revised edition of the monumental work of the journalist and writer Montserrat Roig (Barcelona 1946-1991). This is based on her research over a period of three years to collect the names and reconstruct the histories of the people who, after fleeing from the repression of the Civil War, ended up in French concentration camps, from where, following the Nazi occupation of France, they were deported to Nazi extermination camps. Thirty-two years after its first publication this book is still relevant and of interest. This new edition includes a prologue by the historian Rosa Toran, of the association Amical de Mathausen. “The Spanish who were held in the Nazi concentration camps, for whom there exists documentary records, number 9,328” according to the expert Carlos Hernández-. Of those 5,185 died, 3,809 survived and 334 are listed as disappeared. Papeles de Plomo. Los voluntarios uruguayos en la Guerra de España (Ed. Descontrol) is a collaborative work by three writers – the anthropologist Sergio Yanes, the archaeologist Carlos Marín and the historian María Cantabrana. Their research uncovers the stories of the 80 Uruguayan volunteers who fought in the Civil War. Although it is based mainly on archive work in Spain, Uruguay, Argentina, Russia and the Netherlands and on research in newspaper archives, it also includes about thirty interviews with descendants of those who fought. This volume is the result of a research project entitled “Los voluntarios uruguayos en la Guerra Civil española”, which was funded by the Fondo Concursable para la Cultura of the Uruguayan Ministry of Culture. One of the interesting features is that many of the descendants were traced by means of the establishment of a blog entitled La columna uruguaya, where you can find a biographies of all of the volunteers. Barcelona al servei del Nuevo Estado (Eumo Editorial) is a study by the historian Marc Gil of the purging of the officials of the Ayuntamiento (Municipal Council) of Barcelona immediately after the end of the Civil War. 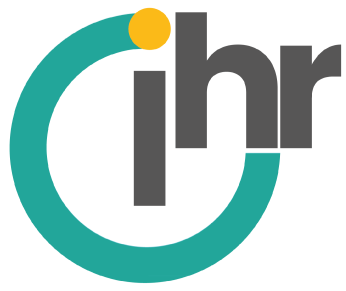 The author has studied the collection of over 7,000 personal case-files from the purging process which is held in the Arxiu Municipal Contemporani in Barcelona and has assembled a database from the files of the 2.361 officials whose cases were opened by the investigating judges and which were carried through to the end of the purge process. He reveals details of the declarations required from officials, who were often incited to incriminate their own colleagues. He also draws some interesting conclusions, which are accompanied by tables and graphs. Finally, Moriren dues vegades (Lleonard Muntaner Editor) is a reconstruction of the terrible story of five volunteer Red Cross nurses who accompanied the Republican forces led by Captain Alberto Bayo in their attempt in August 1936 to retake the island of Mallorca, which had fallen to the military rebels at the outbreak of the Civil War. In the face of the superior strength of the rebels, who had been recently reinforced by Italian troops, the Republicans were finally to abandon the island. The five nurses were behind to face their own fates – they were captured, humiliated, tortured and executed. Two of them were members of a Catalan family and sisters, Daria y Mercè Buxadé, who had been born in Mexico and who had moved to Catalonia in 1920. The author, Antoni Tugores, reconstructs their stories from documentation contributed by their families and rescues their reputations which had been blackened by lies and thus also killed by Francoist accounts. The introduction is by Llorenç Capellà, the author of the Diccionari Vermell, which was published in Palma in 1989 and which contains the biographies of hundreds of people killed during the Civil War and the post-war period. This book is of particular interest to us because we have been following reports of the disinterment of the mass-grave of Porrores via the association Memòria de Mallorca as well as the legislative changes in the Balearic Islands which have introduced fines for the offence of displaying Francoist symbols. ¡Feliz día de Sant Jordi (verano) de memoria!